The validation approach in Luxembourg is similar to the French model. Validation is referred to as ‘validation of prior experiential learning’ (validation des acquis de l’expérience or VAE). The law of December 2008, amended in December 2014, and the subsequent Règlement grand-ducal of 11 January 2010 provide a legal basis for the right of all individuals to access validation in education and training (technical secondary level qualifications, certificates and diplomas, except for the general upper secondary education diploma – diplôme de fin d’études secondaires). The law of 19 June 2009 notably specifies the VAE procedure for programmes leading to short-cycle higher education degrees (higher technician certificates – Brevets de Technicien Supérieur). The 2003 legislation creating the University of Luxembourg includes an article allowing a prospective student to request a validation of prior acquired learning. Validation can be used for access to studies, exemptions or award of part of a qualification. Stakeholders are currently discussing the possibility to introduce a national system for validation via an ‘umbrella law’ with common principles for validation of non-formal and informal learning in all education sectors while still keeping the technical aspects of validation procedures at provider level. Any type of prior experiential learning relevant to the targeted qualification, whether it is the result of formal, non-formal or informal learning activities in the education and training sector, the labour market or the third sector, can be used to apply for validation. 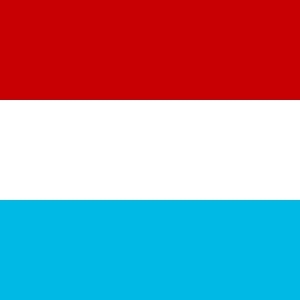 Across sectors, validation is done towards formal qualifications, which makes for a consistent approach that is considered to be one of the main strengths of the Luxembourgish validation system. All formal qualifications that are referenced on the national qualification framework can be acquired or accessed through validation of non-formal and informal learning, except for the secondary school leaving certificate (Diplôme de fin d’études secondaires) and for qualifications at levels 6 to 8 (only partial qualifications can be obtained through validation). There is no overarching legal framework for validation so the HE providers are responsible for their own validation approach. There is no focal contact point for validation in this sector (which makes it difficult to collect data). Validation is possible for all qualifications except for the secondary school leaving certificate. Individuals that acquired prior experience related to the targeted qualification through formal, non-formal or informal learning for a period of 5 000 hours over at least three years, may request certification from the relevant education ministry. Since there are only a few VAE applicants on HE each year and most of them are French speaking they can be re-directed to France. They are much more experienced in validating on HE level. The results from non-formal and informal learning obtained by activities in the third sector, such as volunteering or elderly work, can be used to apply for validation towards formal qualifications. Several projects of validation have been carried out in the third sector in Luxembourg in recent years. One example is the certificate of skills acquired through scouting. VAE is partly publicly funded. There is no consolidated data available about public funding of validation procedures. Annual budgetary post within the Ministry of National Education for VAE (to cover the fees allocated to the members of the validation commissions, the costs for training the latter, administrative and management costs, etc.). An administrative fee (stamp duty) of EUR 25 is required when the application for eligibility is submitted by the candidate as part of the procedure managed by the Ministry of National Education. At the Luxembourg Life Long Learning Centre, the cost for candidates is EUR 150 per application. At the University of Luxembourg, the cost is similar to a normal application for studies.